Unley Concert Band has been in existence since 1997. We aim to offer musicians the highest quality of amateur musicianship in Adelaide. 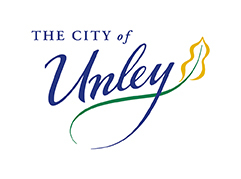 Unley Concert Band is one of Australia’s most successful and high profile community bands. With a diverse group of approximately 60 members, we aim to offer players the highest quality amateur musicianship in Adelaide. The band welcomes experienced brass, woodwind and percussion musicians of all ages to the band. Prerequisite: must love playing music with other like-minded individuals! The band strives to perform music at a high level from both the advanced/challenging wind band repertoire and lighter entertainment music. UCB is also an active marching band that performs at many different engagements such as ANZAC commemorative parades, Christmas pageants and council engagements and holds the title of the 2011-2012 Australian Concert Band marching champion. The band is an actively contesting A Grade concert band at both a State and National level and has had many successes in contesting over the past decade, including recently winning the 2016 A Grade National Band Championships title and equal first in the 2017 championships. The band exists to provide a musically fulfilling, friendly and welcoming environment for community banding. The band released a CD Uniquely Unley in 2010 and was involved in the feature film Swerve, released in 2011.